Left to right: Davies, Tennant, Lyn, Gardner. As previously reported, David Tennant, Russell T Davies, Julie Gardner and Euros Lyn have sent two "audio postcards" from America to BBC Radio Wales. An extended version of the first postcard can be heard here, and the second postcard can be heard here. In the second postcard, David Tennant discusses driving in Los Angeles and his first Hollywood audition, Euros Lyn and Russell T Davies chat about Muscle Beach, and Julie Gardner explains the dangers of doggie bag culture. Doctor Who’s Greatest Moments is a new three-part documentary series from the Doctor Who Confidential team. With 58 Doctor Who Confidentials already under their belt, Gillane Seaborne and her team deliver a trio of themed docs – a fast, fun celebration of all that has made Doctor Who a storming success since its rebirth in 2005. 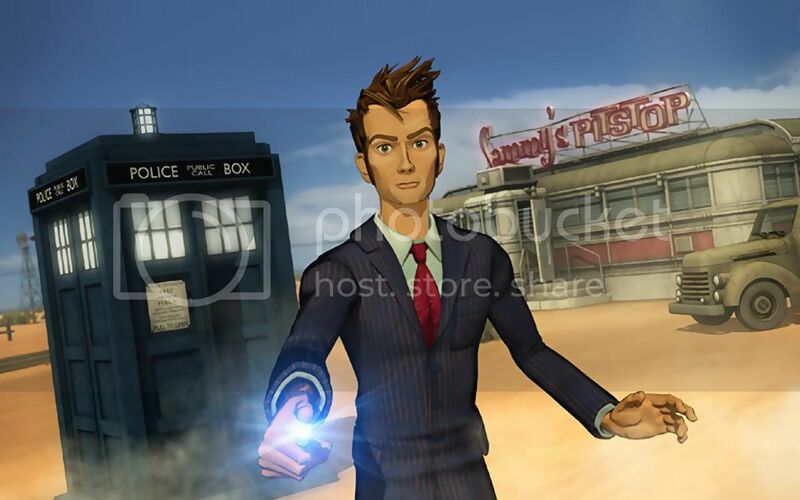 [Parts 2 and 3] Companions and Enemies will follow, but this week it’s the Doctor’s turn in the limelight. What makes the Bachelor of Time tick? Why does he need reigning in occasionally? And who are his own heroes? As well as clips from the series, there’ll be interviews from the “nearly departed” David Tenant, Freema Agyeman, Georgia Moffett, “next Doctor” David Morrissey and Captain Jack himself, John Barrowman. 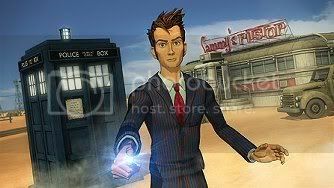 Each episode is an hour in length, and the first, The Doctor, will be shown in the UK on BBC3 on Thursday, 20 August 2009 at 8:00 pm. Torchwood: Children of Earth is BBC AMERICA's most successful series ever, reaching 3.3m in Live+SD across the week. It delivered an average audience of 705,000 viewers per episode, with Friday's finale attracting 847,000, the largest average audience in the channel's history. Doctor Who: Planet of the Dead also performed strongly with 657,000 viewers in Live+SD. In the Monday-Friday, 9-10P hour among A25-54, BBC AMERICA ranked #13 in coverage rating (.51) and #22 in delivery (380k) among the 75 Nielsen-rated ad supported cable networks. For the week, July 20, in the 9-10P hour, the channel - available in 64 million homes - outperformed, in Live+SD A25-54 delivery several nets with significantly higher distribution, such as MSNBC, Animal Planet, Bravo, BET, Travel, Oxygen, Hallmark, TV Land, Soap, MTV, E!, WE, and Headline News. The press release also confirms that BBC America has acquired the next season of Doctor Who, starring Matt Smith as the Doctor. 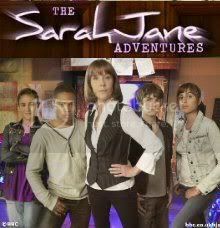 The series will air on BBC America in "Q2, 2010 following soon after its UK premiere"; "Q2" refers to the second quarter of the year, or April, May and March. Details posted on Amazon.co.uk reveal that a new edition of The Writer’s Tale, Russell T Davies and Benjamin Cook’s detailed account of the making of series four of the new Doctor Who, is to be released in January 2010. The book, which takes the form of collected e-mail correspondence between Davies and Cook, proved extremely popular on its original release in late 2008. 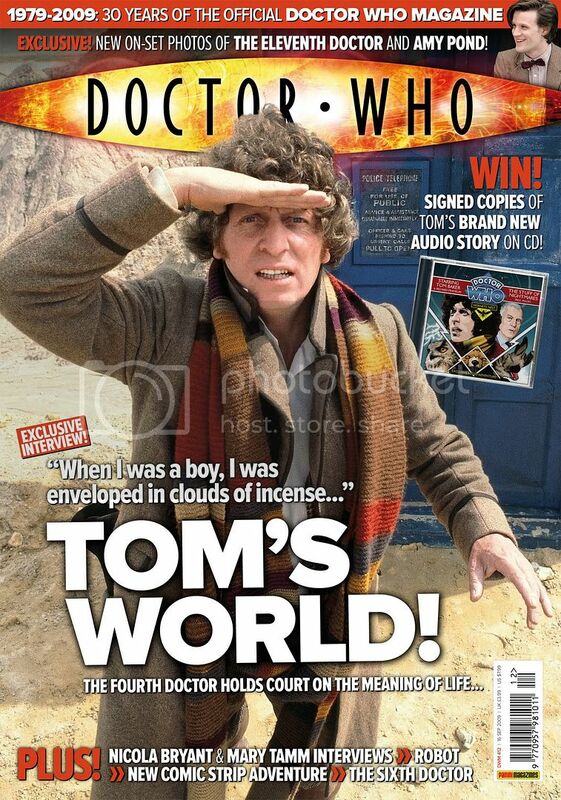 The new edition will contain over 300 pages of new material, detailing the conclusion of Davies’s time on the programme, culminating in the final special episodes to star David Tennant as the Tenth Doctor. BBC Radio Wales featured one of its regular "radio postcard" broadcasts from Russell T Davies in Los Angeles this morning, and was joined by Julie Gardner, David Tennant and Euros Lyn to discuss the recent ComicCon. The broadcast will be available from BBC's iplayer for the next seven days (approx 2hrs 20min into the show). There will be another 'postcard' on Monday. 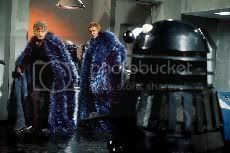 The Dalek War Box set, featuring the third Doctor stories Frontier in Space and Planet of the Daleks, will be released in the UK on the 5th October. The release was originally expected in December, but it is understood a slot became available in October when the release of Torchwood - Children of Earth was moved to a release date immediately after transmission. Details of the extras included in the release are posted here. It is not known whether another release will take the slot now available on 28th December. A trail has recently been classified for the release of the Fifth Doctor stories The King's Demons and Planet of Fire, indicating a Kamelion box set could be on the way. America's Public Broadcasting Service (PBS) has announced that the Royal Shakespeare Company's recent production of Hamlet starring David Tennant and Patrick Stewart will air in the US as part of the network's "Great Performances" series in 2010. The RSC says that the television adaptation "will retain the quality and tone of the critically acclaimed stage production but filming will take place on location"
The BBC announced earlier this year that the film would air in the UK on BBC Two later in 2009. Tennant will also be seen on PBS as host of the "Masterpiece Contemporary" series, which returns on October 25. Press coverage of the PBS broadcast of Hamlet can be seen at Playbill, Variety and wire service articles from The Associated Press and the UK's Press Association, each of which were picked up by many newspapers. 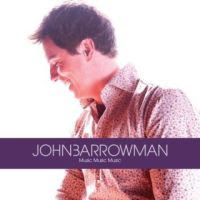 Actor and singer John Barrowman's song I Made it Through the Rain is the highest new entry in the UK's official Radio 1 Top 40 charts, entering at number 14. It's kind of like a phenomenon. The album was released in November of last year, and you think, okay, it's had its life, and if it sells something beyond that you're really chuffed and happy and pleased, but you do not expect something like this to happen, for a song to go into the chart! The song has been championed by BBC Radio 1 DJ Chris Moyles through his Radio 1 Breakfast Show and Twitter posts. Moyles has previously influenced chart entries, with a promotion back in the 2007 New Year to use new download rules to get former Doctor Who companion Billie Piper's song Honey to the Bee into the charts - famously overshadowing a similar attempt by fans aiming to enter Doctor Who music composer Murray Gold's song Love Don't Roam.